This collection hits close to home for me, quite literally. You see, I was born and raised in the same state that these comics were discovered and spent many days of my youth hiking, camping and generally having a good time in the White Mountains of New Hampshire. This large collection of around 5,000 comics was discovered in 1984. The titles span from the year 1948, all the way into the 70's. It was one of the first collections that included Silver Age comics to be recognized by the industry as a pedigree. Before this collection, pedigrees were only given to collections with nothing but Golden Age or earlier comics. When it was discovered, it was considered one of the nicest Silver Age collections to date. Keeping these comics in such good condition must have been difficult to do in the hot humid summers in New England. I read that they were kept in metal boxes, and that's why the covers are so vibrant, and the pages white, but they must have also been stored in a basement which also kept them nice and cool. The original owner must have loved science fiction. There are many complete runs of titles from publishers like EC Comics and also has many nice runs of Silver Age comics for titles like Fantastic Four and Amazing Spider-Man. 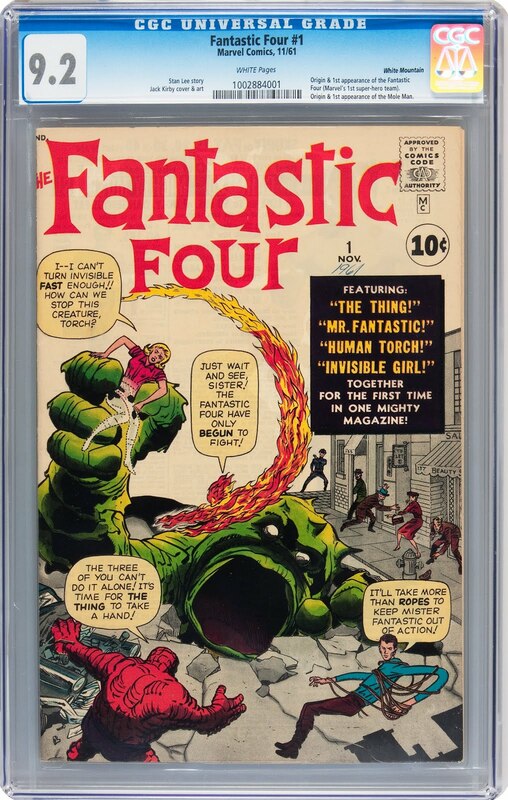 A couple of the highlights from this collection are the Amazing Fantasy #15 and Fantastic Four #1. 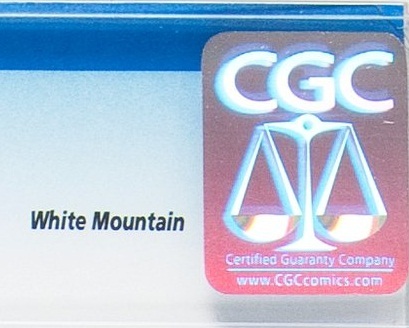 The FF #1 is CGC graded a Universal 9.2 NM-. There are a handful of copies that are graded the same or higher than that. This copy was on the market back in 2012, and sold for an impressive $203,150 at Heritage Auctions. 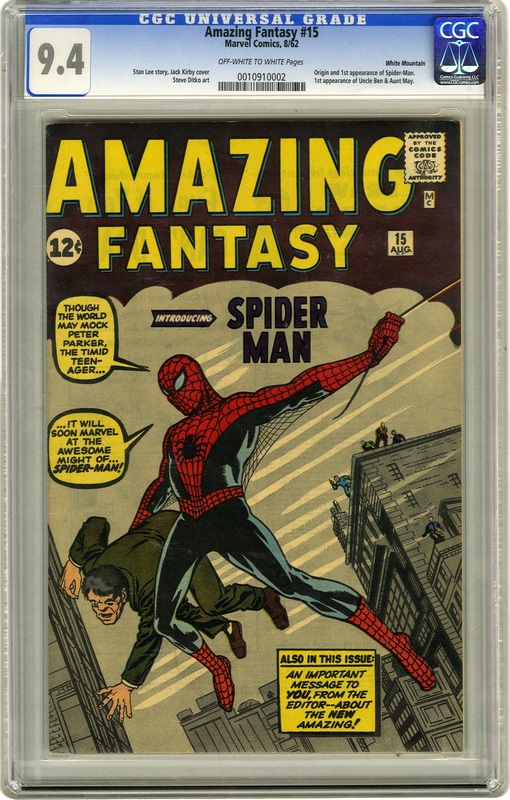 The Amazing Fantasy #15, which is a CGC graded Universal 9.4 NM, was also sold at Heritage back in 2005. That copy ended up selling for $126,500. This copy would end up being put back on the market only two years later at Comic Link, and this time it sold for $227,000. 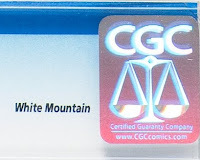 Looking at the sales for these two comics, it would seem like the White Mountain Collection is a solid investment, if you're able to afford copies. There are other comics from this collection that are far more affordable and still in high grade. 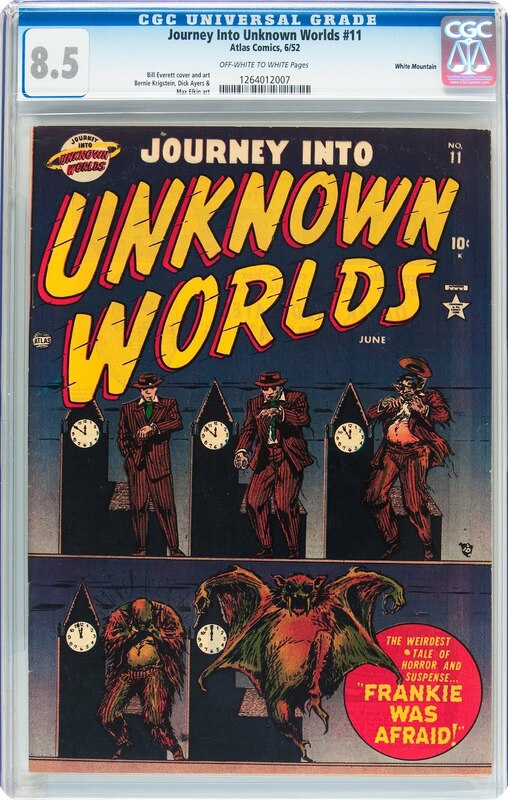 For example, there was an CGC 8.5 VF+ copy of Journey Into Unknown Worlds #11 that sold last year for $956, and there are some auctions on eBay that range from a few hundred dollars all the way down to under $100. So, you don't have to be a millionaire to be able to afford a book from this collection, all you have to do is click on the links below and look through the search results. Interesting. Did not know about this Pedigree collection. Great information. There are so many Pedigrees out there, most I've never heard of until I started this website. I'll be getting to them all sooner or later.